Tutorial: Is this an orphan enzyme? You have an enzyme name but no sequence data. Do you truly have an orphan enzyme? We define an orphan enzyme as an enzyme that has been experimentally characterized but which has no sequence data in any major sequence resources. So to see if an enzyme really is an orphan, we naturally need to check those sequence resources. Here is a stepwise guide to validating whether you truly have an orphan enzyme. You may encounter other names for the enzyme as you check it against databases, so you may need to “return” to a database you’ve already checked to query those newfound names. Data exchange between NCBI’s GenBank and DDBJ and ENA means that you only need to check NCBI to comprehensively check DDBJ and ENA as well. 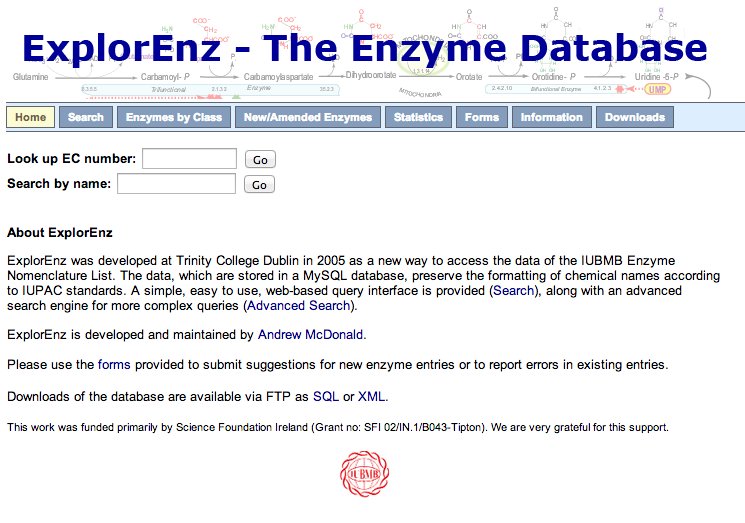 We recommend looking first at the the ExplorEnz and UniProt databases. ExplorEnz only contains those enzymes that have already been assigned EC numbers, but tends to be the best source for all of an enzyme’s names and synonyms. ExplorEnz does not contain sequence data itself, but links out to entries in other databases (that’s why it’s not on our “major sequence databases” list). 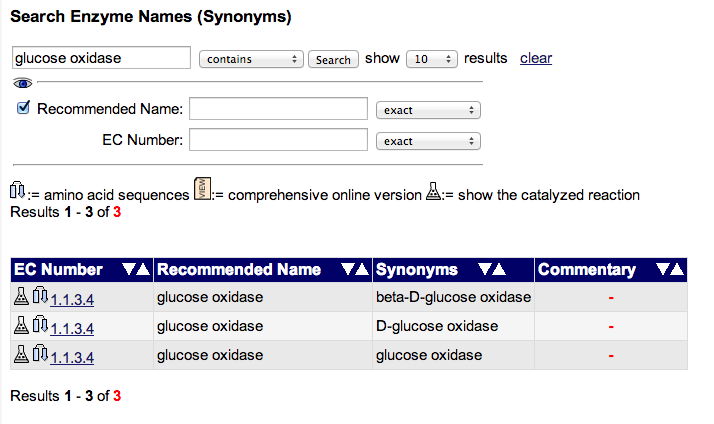 Tip: If you are having trouble finding your enzyme during database searches, try searching with just part of the name. This can help you find the enzyme when it has been entered under a slightly different name, which is more common than you might think. For your later searches, you will want to collect all of the names in the “Accepted name,” “Other name(s),” and “Systematic name” fields. Type the enzyme name into the “Query” window at the top of the UniProt front page, with “Search in Protein Knowledgebase (UniProtKB)” selected. 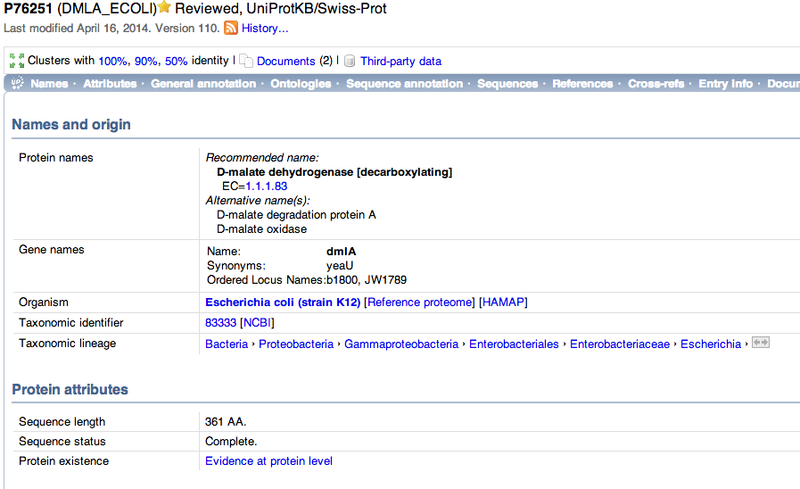 As this example shows, UniProt may not show our enzyme by the same name we used to search for it. That’s a lot less overwhelming. UniProt makes it convenient for us by listing all the protein names in the “Protein names” field at the top of the protein’s page. BRENDA, like ExplorEnz, only collects data on EC enzymes. 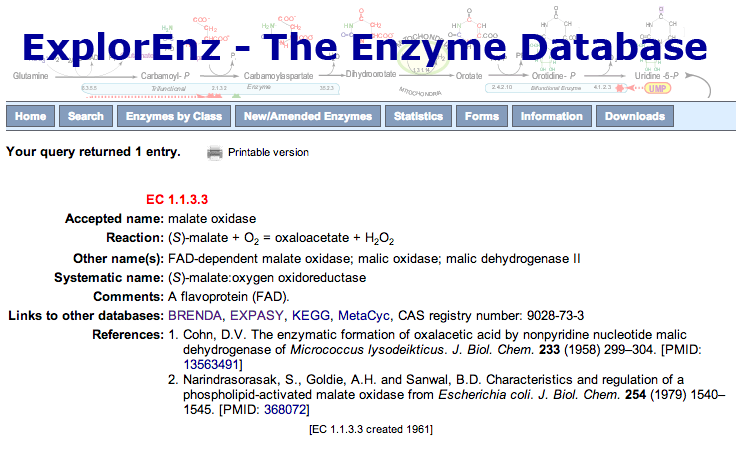 You can type your enzyme name into the “Enzyme Name” search field at the top of the BRENDA home page. 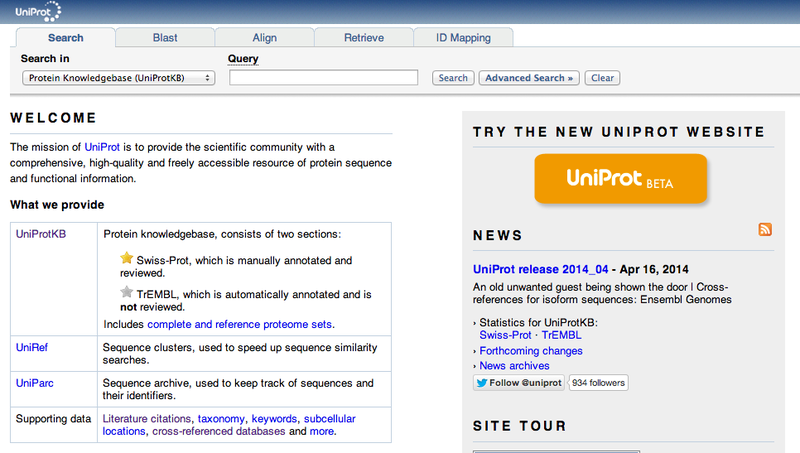 There is an “AA Sequence” link on the left side of each enzyme’s page that will generate a pop-up window with sequence accession IDs and links to the sequence in UniProt, when available. 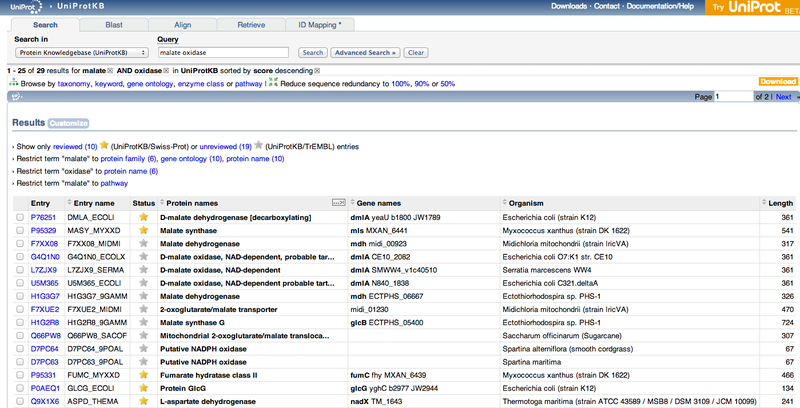 NCBI’s Protein database is the most comprehensive place to hunt for enzyme sequences. If that were the only sequence data we could find, we would still consider the enzyme an orphan. If you found a sequence at any point in this search process, congratulations! Your enzyme is not an orphan. 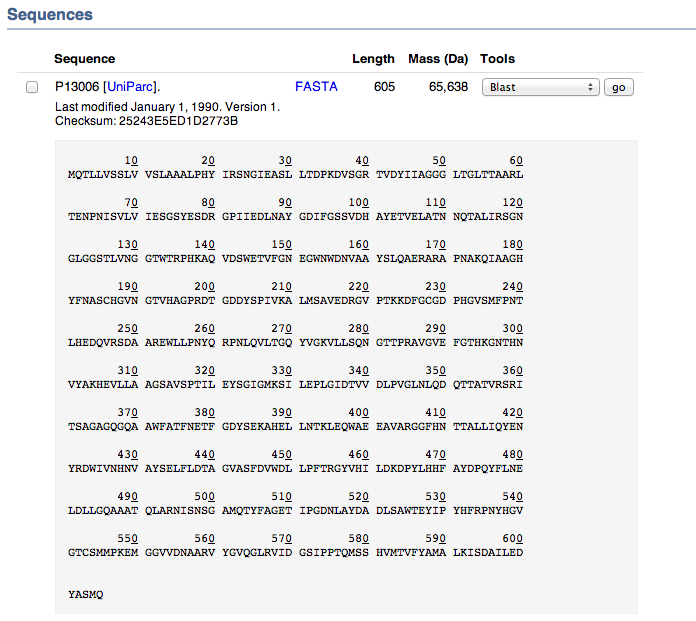 If you did not find a sequence, then you have a putative orphan enzyme. 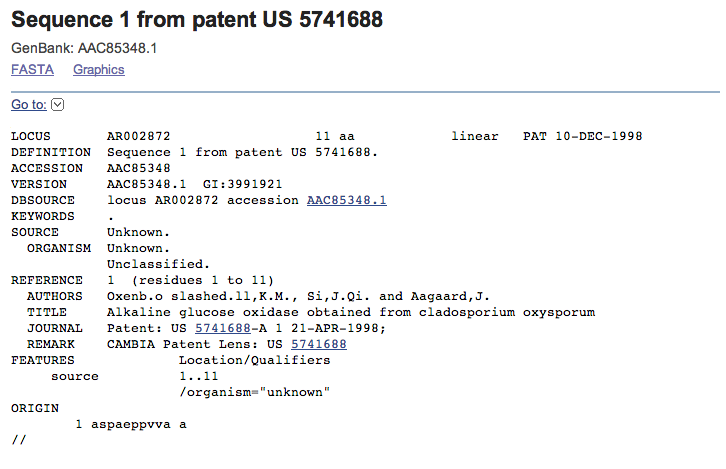 There may still be sequence data in the literature, patents, or less typical databases. Take a look at our other tutorials to learn how to carry out a sequence search for your putative orphan enzyme.